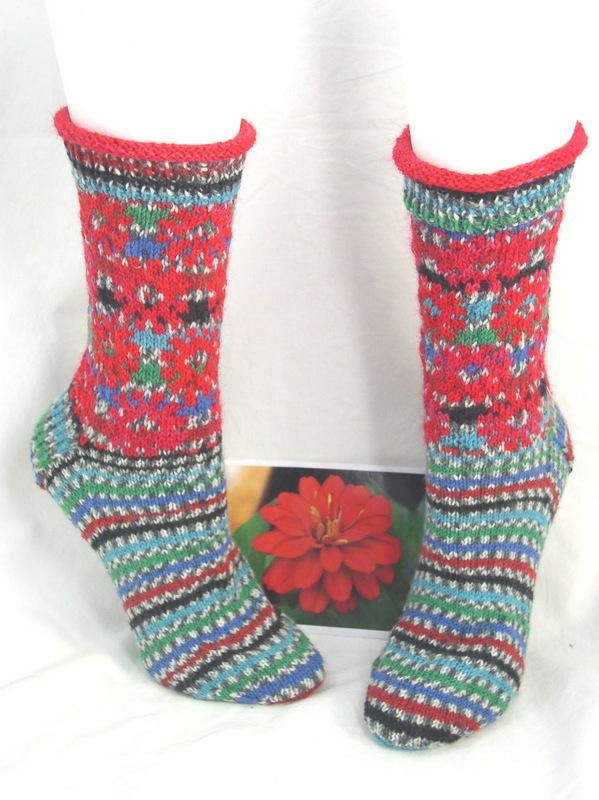 The Zinnias socks are finished, photographed, and have been mailed to Illinois. 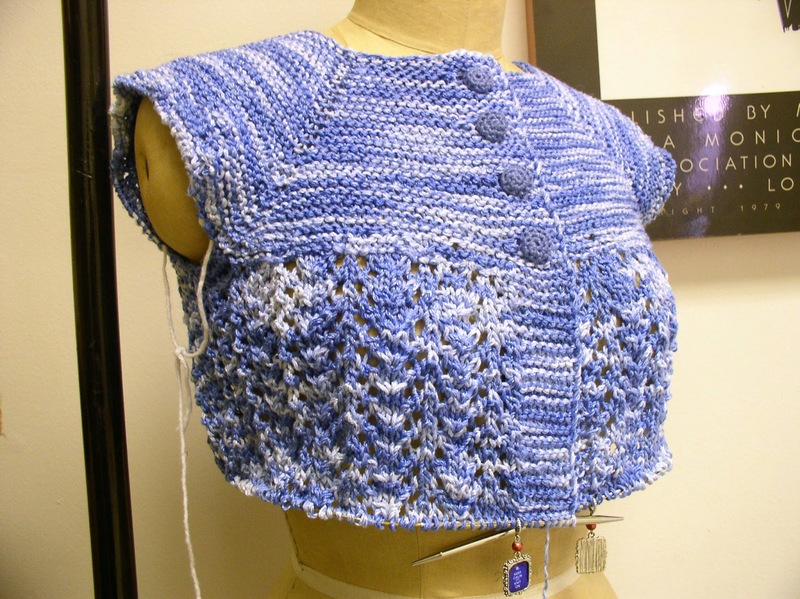 the pattern is written and up in my Ravelry store. Just need to do Pattrnfish. 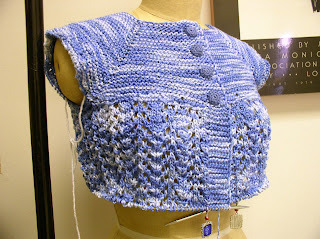 The main color is Regia Jacquard and the flowers are Schaeffer Anne yarns. The iPad shown in the last blog post has been returned to my daughter. She loaned it to me, because she wanted to be sure that I would use it before I spent the money. I got some money int he mail that paid for more than half the cost, so I went out and bought my own. I had heard about used iPads, but none were available. Mine is verison 2 with no phone card. It doesn't make sense to pay for another data plan that I wouldn't use much. The wifi connection is fine. So far I have put knitting patterns, books and recipes on my Pad. I'm leaving for Florida in a week, so portable books will be handy. I had used a small patch on a previous pair and they then wore out at the edges of the patch. Size 14 socks which are otherwise in good shape get new toes, and the first pair did. I'm trying a big patch this time. I still can replace the toes. 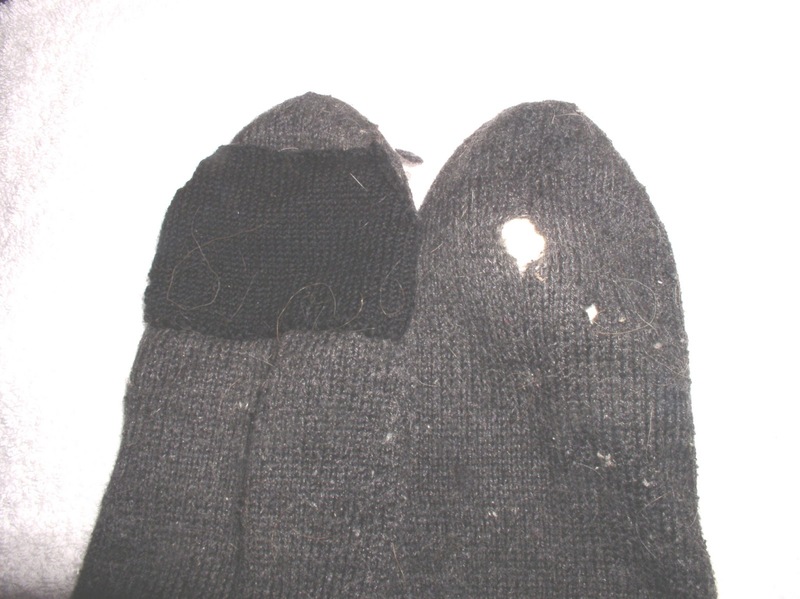 Another sorry pair of socks has been in my house for a few years. I misplaced one sock, didn't find it until the house renovation last year. It's time to get these fixed. When I made them, I ran out of yarn before the toes. I guess the stitch pattern was yarn hungry. The light colored spots are worn very thin. DD wore through the ball of the foot and the toe. I cut off the damage, picked up stitches and knit new toes. They look much the same as the old ones, but this time they are Patons Kroy, I think the rest of the sock is Regia Jacquard. They both wear forever. I've been working on this sweater. I got the body finished and most of one sleeve before trying it on. I went back and forth,but finally decided that it really was too small. My yarn is a thinner version of worsted. It's Berroco Cotton Twist. I now am nearing the end of the lace on the body. I'm also using all 5 buttons left from the original garment. I'm hoping to wear the sweater to Florida. It's going with me finished or not!